Magic Leap has a great demo video, a weird looking set of goggles, but no products. 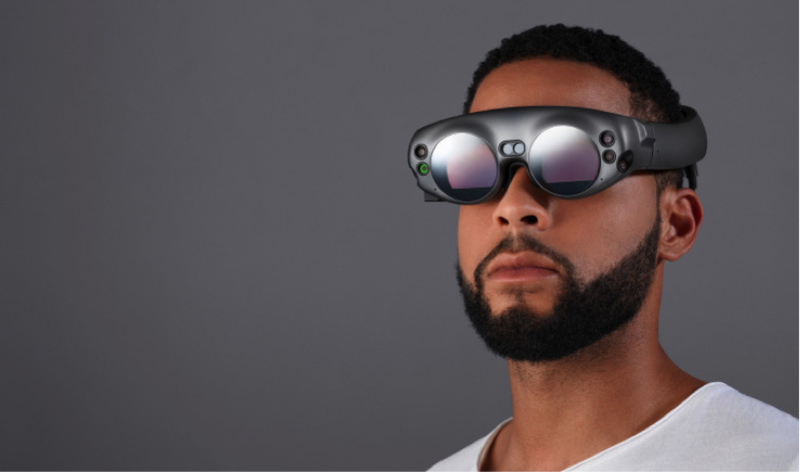 The lack of a real product doesn’t seem to get in the way of raising money as an additional Series D funding of $461m, comes after Magic Leap confirmed a $502 million funding round led by Temasek in October. The total Series D funding now stands at $963 million, the company says. Magic Leap has raised more than $2.3 billion in funding to date. The new funding came from the Kingdom of Saudi Arabia’s sovereign investment arm, The Public Investment Fund. The Saudi Arabian fund contributed $400 million of the raise, with “new investors” fronting the rest, the company said. Magic Leap focused a lot of resources in what has always been a money pit; developing new display technologies and their own operating system. But they are also developing sensor suites that can map environments quickly and efficiently and courting developers to build specifically for their platform, a system that will according to “Leap” have few parallels and require some unique thinking on the part of those building for it. Their approach has meant a lot of delays, but the constant stream of high-profile investors have also given Magic Leap easy access to capital as they’ve continued to raise capital without having shipped a single headset. The company’s Magic Leap One “Creator Edition” is supposedly going to see a 2018 release, but there are still plenty of unanswered questions that the company has yet to publicly acknowledge.